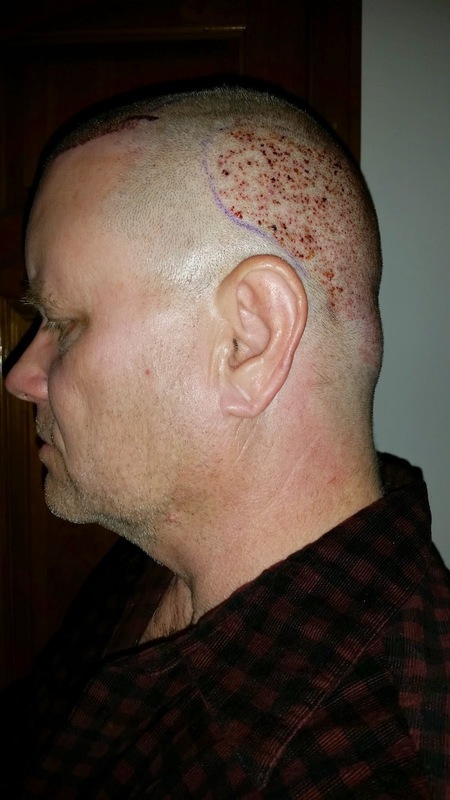 I'm posting some pictures today of the sides and back of my head just after surgery. Dr. Vories is sending me more pictures that he took last Saturday. I will post some of those in the next day or two. 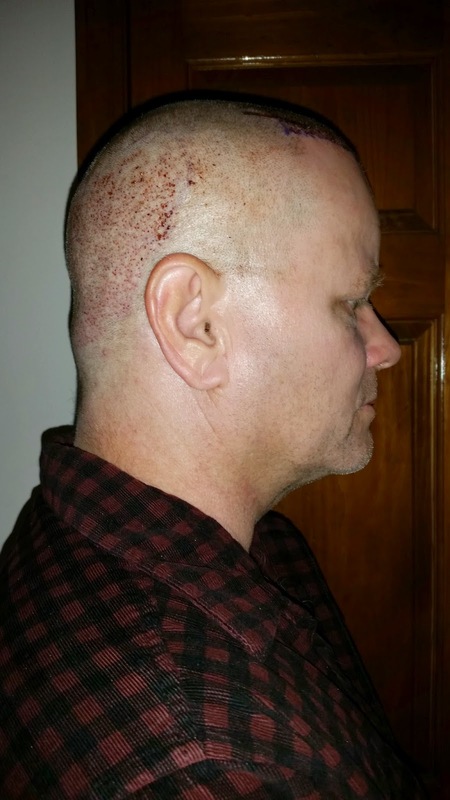 I'm taking my prescription Hydrocodone as directed each day to stay ahead of the pain. I usually access whether I'm having discomfort or pain every hour when I spray my head with the saline solution provided to me at the clinic.. I typically take one Hydrocodone during the day and take two about 10pm each night so I'll have a good nights rest. 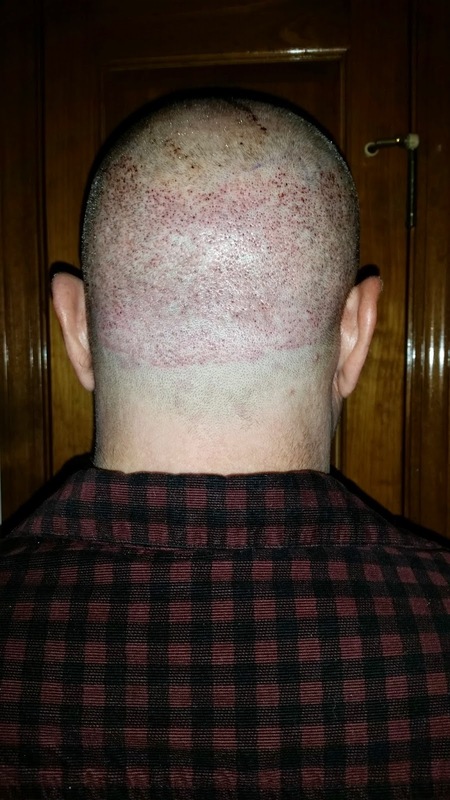 I usually wake up with a little discomfort "stinging" in the back of my head which I attribute to the back of my head laying on the pillow and moving around a bit during my sleep. I've been averaging about four or five Hydrocodones per day.